Estate: Tenuta Sant’Antonio is the passion of 4 brothers; Armando, Paolo, Tiziano and Massimo Castagnedi. They grew up cultivating their father’s vineyards, and in 1989, after working as technical consultants in other vineyards throughout Italy, they purchased 30 hectares of land around their original 20 hectare family estate. They planted indigenous grapes alongside the existing vineyards and built a new winery. Philosophy: To “concentrate on quality rather then quantity”. Winemaking: The vineyards are cultivated using organic methods, as they are “tended with love and attention to maintain a balance with nature”. 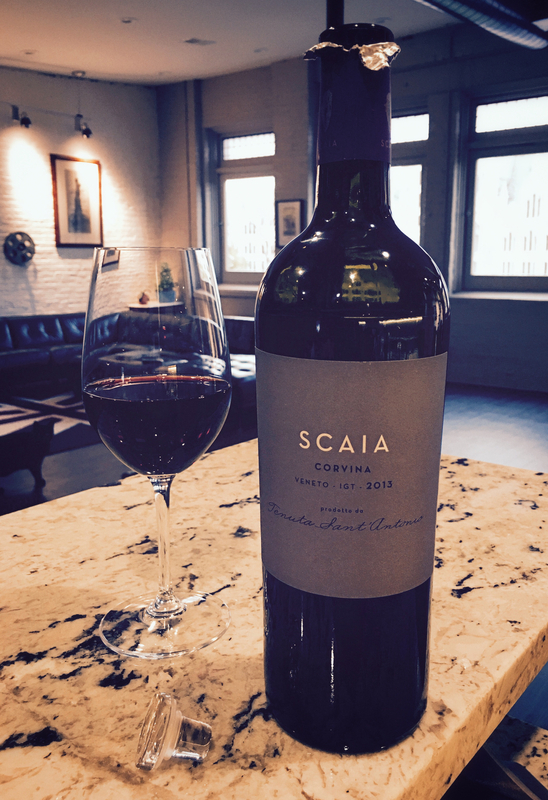 Scaia was aged in stainless steel. Tasting Notes: Garnet in colour with aromas of wildflowers, cherry and dusty earth. Red currant and floral notes make a respectable impression alongside an array of cherry notes, from cozy cherry pie to fresh sour cherry that provide an interesting density, whilst silky tannins and spiced raisin notes comprise the plush finish.